Acne is a common, inflammatory skin disease that results in whiteheads, blackheads, pimples, cysts, and skin scars. The exact cause of acne is unknown, mostly they tend to appear on the face, chest, shoulders, and neck. Anyone can get acne, but it is common in teenagers and young adults. In teenagers, it is caused due to hormone changes. Human skin has pores that connect to oil glands under the skin. These glands produce an oily liquid called sebum. These sebum carries dead skin cells through the follicles to the surface of the skin. A small hair grows through the follicle out of the skin. 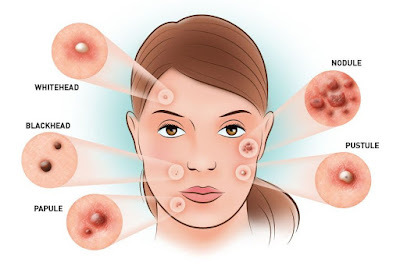 Pimples or acne grow when these follicles get blocked and results in oil builds up under the skin. The swelling is caused when the skin cells, sebum, and hair can clump together into a plug and gets infected with bacteria. This plug begins to break down starts to develop acne. The severity and frequency of acne depend on the strain of bacteria. Acne varies depending upon size, color, and level of pain. Pustules which are red at their base and have pus at the top. Cysts are painful and are filled with pus results in scars. Treatment depends for acne depends on how severe and persistent the acne is. Amrita Ayurvedic Medical Centre based in Tripunithura is a leading Ayurvedic Dermatology Hospital in Kerala provides high-quality ayurvedic treatment for acne. Dr R S Roy is the chief physician of the hospital who is having a rich heritage in Ayurveda provides the best and effective Ayurvedic dermatology treatment at affordable costs.